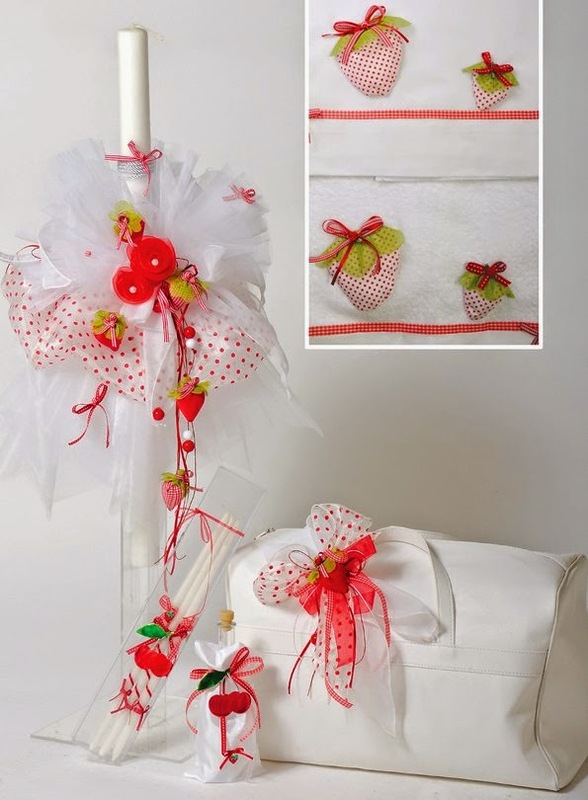 Handmade Greek strawberry theme christening set for girl, decorated with red-white polka dots fabrics and tulles. Little fabric straberries and ribbons, embellish the chrisoms and the set. https://www.preciousandpretty.com/2015/03/strawberry-themed-christening-set-ske50.html Greek Wedding Favors|Orthodox Crowns|Stefana|Baptism Invitations Strawberry themed christening set SKE50 Greek strawberry themed christening set for girl Product #: Greek Wedding Favors|Orthodox Crowns|Stefana|Baptism Invitations_5214539547138698632 5 stars out of 5 reviews.